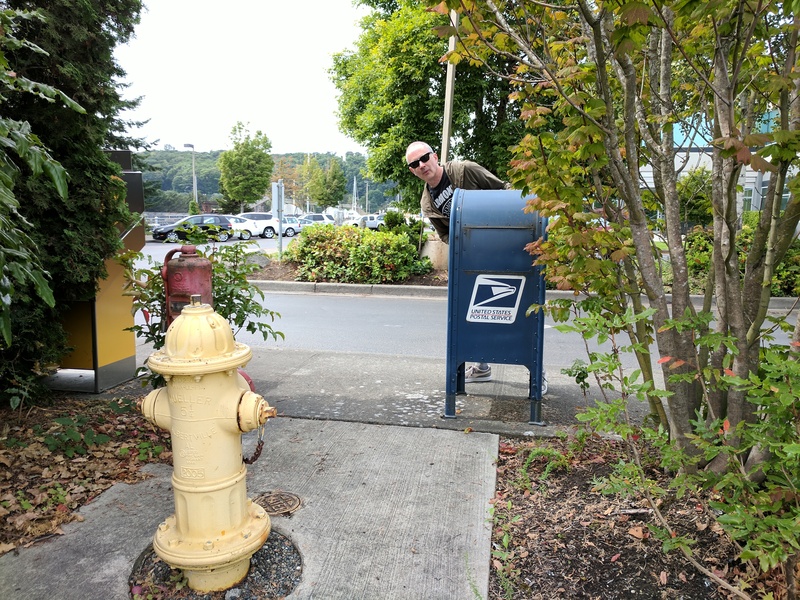 175) Here’s an exciting one… the only blue mailbox on Harbor Island! It’s tucked away in the back of a business park, and to be honest, I had a strong feeling that this box would not really be there. Not only is it present and accounted for, but it enjoys a lovely little forested setting that it shares with its best friend, Mr. Yellow Hydrant.